“Reduced mobility” is used to designate people who temporarily or permanently have limited ability to move without the need of external help. It´s mostly used when talking about accessibility since it is broader than talking about disability. It should be noted that NOT all the disabled people are people with reduced mobility. In the world, more than 1,000 million people live with some type of disability. Non-discrimination, equal treatment before the law and equal opportunities. Independent life, to be able to choose on its own existence. Normalization, people with disabilities can lead a normal life like any other person. Universal accesibility, is a condition that must be met by all the processes, environments, products and services. Civil Dialogue, so that organizations and their families can participate. Participation is essential, both citizens and public administrations. Public responsibility, involvement and promotion of public organizations. Economy of disability, indicate it as a positive effect on the market. Sensitization, for a correct application of the strategy. Imagination and creativity, promoting solutions and proposals based on these concepts. 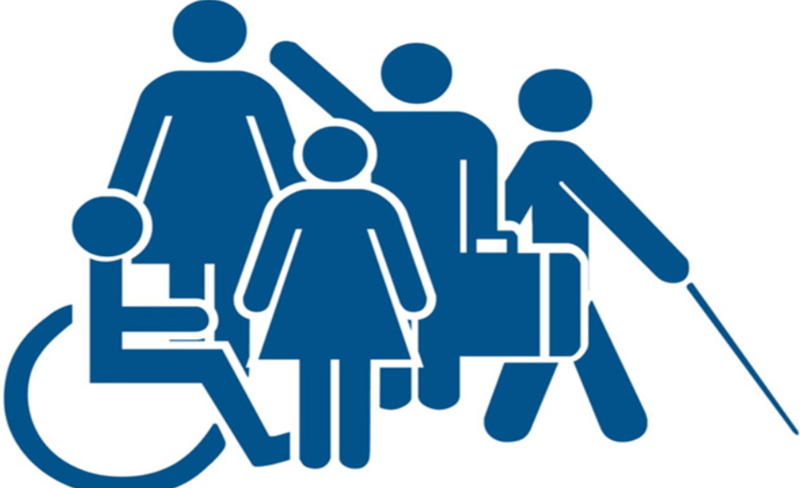 In Spain there are more than 2.5 million people with reduced mobility, which is equivalent to 6% of the population. Social&Care helps to prevent that this loss of autonomy is not accentuated and, through activity patterns, make them gain their self-steem again. We must offer a standardized and inclusive image of people with intellectual disabilities, raise awareness and sensitize society about the specific needs of these people, making it more inclusive by normalizing their functional diversity and claiming their rights.